Your dog is a cherished family member, and the thought of sending your dog away can be a scary prospect. You might be worrying about how your dog feels, how much he might miss you, or how stressed he might be in an unfamiliar environment. My name is Yama, the resident helper dog at Dog City, and I understand your plight. 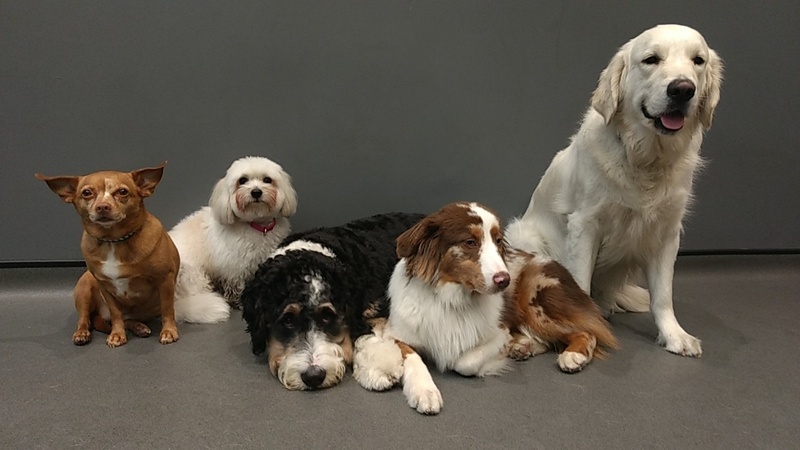 I have assisted with temperament testing the majority of dogs that have entered our program, and I know that the first day at school can be a little scary for both the owner and the dogs. Here are a few tips to help your dog prepare for boarding! 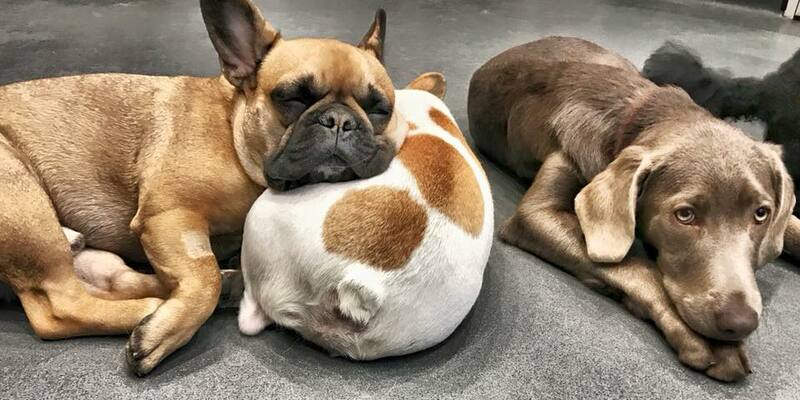 A tired dog is a calm dog, and a tired dog is also a relaxed dog. Start increasing your dog’s exercise regimen for weeks leading up to the event. A day or two in advance of extra walks is not going to cut it. Plan ahead and provide extra exercise on a regular basis so that your dog is effectively releasing the ants out of his pants, preferably with other dogs. The more exposure to dogs, the merrier, because your dog will be in the presence of other dogs while boarding. 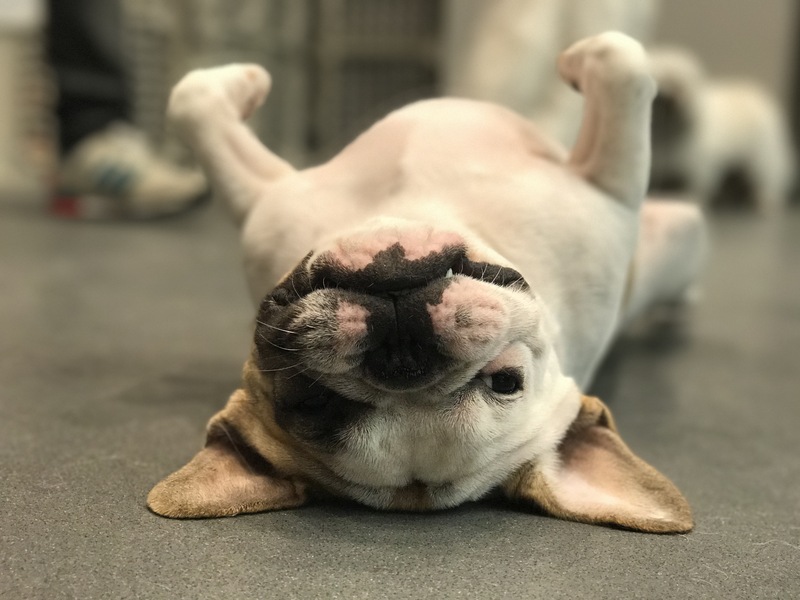 On the day of boarding, your dog should receive at least 3 hours of extra exercise so that he enters the facility in a tired, calm state of mind. This will greatly assist your dog in acclimating to the new environment with ease, as he’ll be compelled to take a nap instead of fretting about your departure. By the time your dog wakes from his nap, he will be feeling comfortable for the remainder of his stay. Familiarity is the best antidote to anxiety. 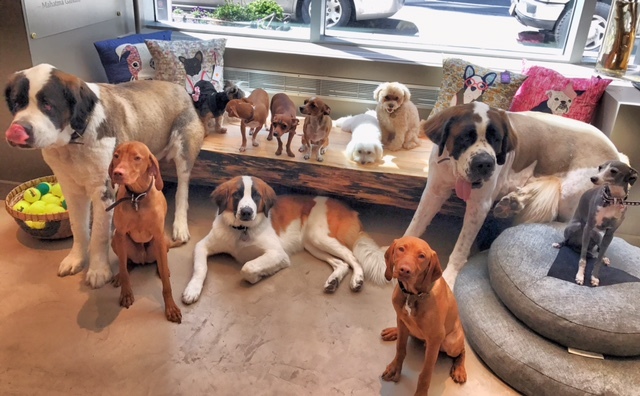 Send your dog to day programs such as Dog City’s Pee and Play service on a regular basis so that your dog is accustomed to the staff, dogs, and the facility. If your dog identifies the facility as a fun place, there’s nothing to worry about during your absence. Being agitated or excited in a new environment can cause GI upsets with dogs. Don’t overfeed, or provide extra treats for a few days prior to boarding so that your dog’s stomach is in good, solid condition. Prepare baggies of pre-portioned food with your dog’s name to prepare for meals during boarding. This assures that your dog will only receive the food his stomach tolerates. Familiar bedding, your old T-shirt or toys will help your dog feel at home. Be sure to label all of your dog’s personal belongings with a permanent marker! Verify that your dog’s vaccinations are up to date for the whole duration of boarding. Your dog will be in a dense social environment, and much like human children at school, vaccinations are paramount in making sure that all dogs remain healthy. 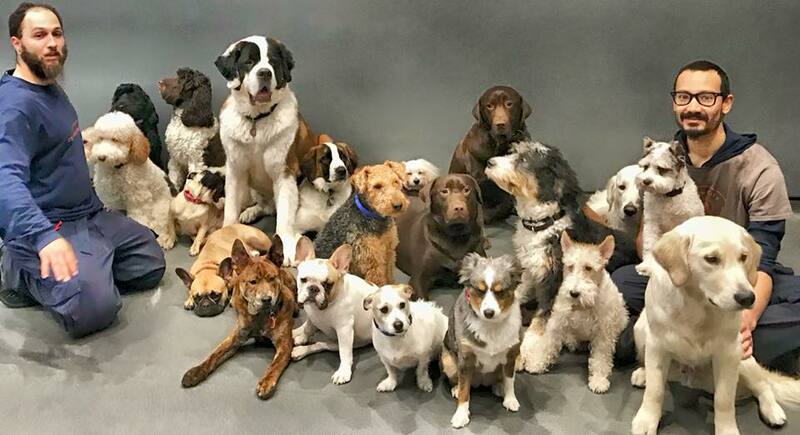 The Inn at Dog City and reputable dog care facilities will not accept your dog without proof of vaccinations for contagious diseases such as kennel cough and canine influenza. We pick up on your emotions before you’re even aware that you are stressed or anxious. As you pack and prepare for your trip, be calm and positive. Do not excessively dote on us– your anxiety will rub off on us and make us nervous. It’s tempting to linger at the facility to make sure that everything is okay and observe how your dog is feeling in the new space. This is actually very counterproductive to your dog’s adjustment. Emotional goodbyes from the owners are often the main reason why we become upset when you leave. Exit quickly, confidently, and positively. Your apprehension affects us greatly because we trust and love you. If you’re confident, we become confident. If you don’t worry, we won’t worry. When you drop off your dog, give us a quick hug and tell us you’ll be back with confidence. When you pick up your dog after a long absence, it’s tempting to be overly excited or emotional. This can incite separation anxiety whenever you depart from us because we’re waiting for that dramatic reunion. Keep the reunion nonchalant so we become accustomed to being left in various places such as boarding facilities and veterinarians. Verify that your dog’s microchip details and dog tag information is current. Take him to the local dog runs and parks to socialize with fellow dogs. This will prepare your dog to be confident around his own species, and will find comfort in their presence instead of being afraid. Being around other dogs is the best way to learn proper canine manners and develop a stable disposition.